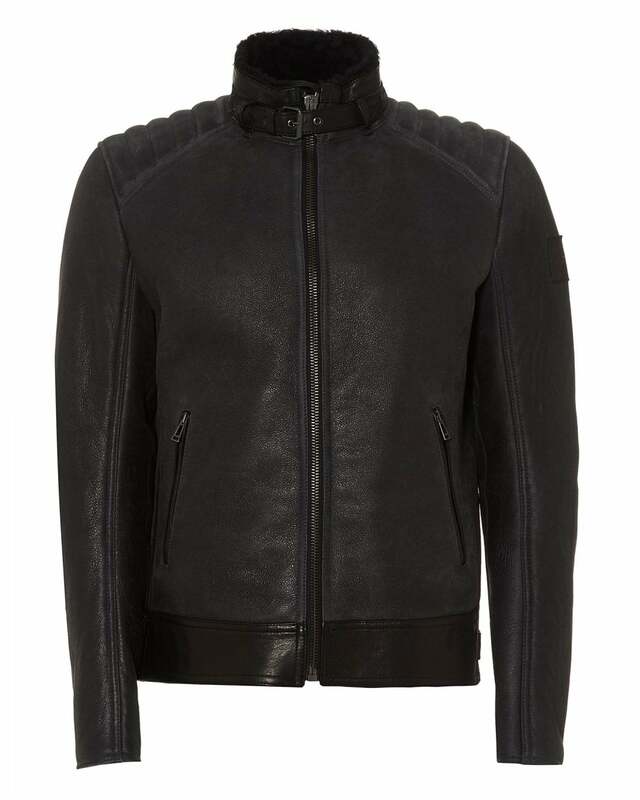 This leather jacket by Belstaff adds a touch of vintage flair for the modern man. Adopt a new look with this jacket, featuring a corrugated shoulder, zipped pockets and shearling lining to keep you warm in the colder season. This will complete any of your smart-casual outfits.